What is Speedriding? For much of the last fifteen years, Redbull has been helping athletes all over the world push the envelope in just about every action sport. Let’s face it, every skier, shredder, climber, paddler, wingsuit flyer, driver, rider, diver, flier…they all dream of the support a Redbull sponsorship can bring. Unlike most other companies involved in sponsoring sport, Redbull gives time, money and resource at all levels. From the Formula 1 Team, right down to supporting athletes in sports no one has ever heard of, the folks at Redbull truly understand the beneficial relationship between talent and product to the point where they have created en entire culture of action sports out there and that have become an industry unto themselves. Speedriding is something that has partly come out of that. A group of skiers and speed flyers whose influence melded to create a new sport, Speedriding is like something out of a James Bond film. 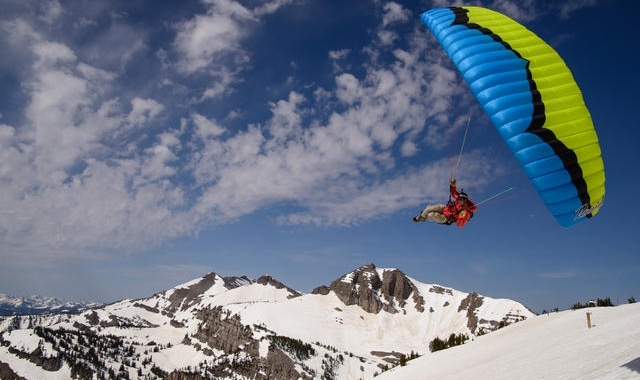 Skiers ski with a parachute canopy and the sport, still small, a relatively obscure, is re-defining what can be done both on skis and in the air. In a new documentary film entitled, The Unrideables: The Alaska Range, The Redbull Media House brings us a film on the history of this young sport and the new frontiers it is pushing outside of the traditional European locales in the Alps. One of these places is Alaska. Alaska is still, after twenty years of being the big mountain ski and snowboard hub of the world, one of the last frontiers of skiing. It’s big and wild and untamed and the snow quality is all time. It’s also far enough away from the rules and regulations of the mountains in the lower 48 states that athletes on the outer edge of the envelope, pushing the limits of what the mountains and the sky have to offer, can really strut their stuff. The Unrideables chronicles the evolution of Speedriding as a means to go and ski lines and areas that even the best skiers in the world wouldn’t attempt. 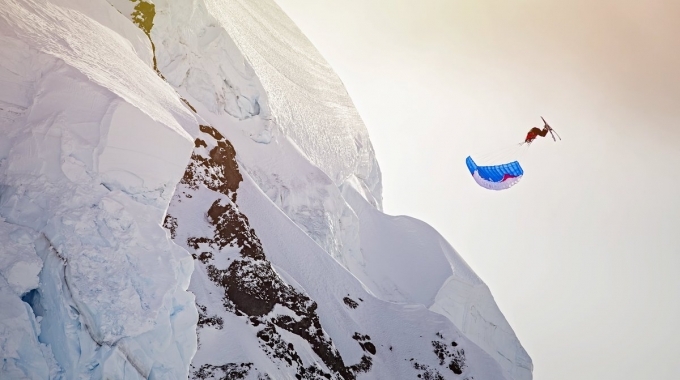 ‘Skiing with a canopy’, is Speedriding at its core, and with that little extra tool, it’s mind blowing what these athletes can do and where they can go. Take a moment to see what Speedriding is all about.